Umzuzu is a leading Cloud Solution Provider helping businesses and government agencies adopt, manage and enhance cloud computing services from Box. Join the 140,000+ companies – including 92% of Fortune 500s – that rely on Box. Box Business and Box Enterprise put an end to the FTP productivity drain while enhancing your professional image. Easily upload content, organize it into folders, share links to files and manage file/folder permissions. Keep Content Organized Box makes it easy to upload and organize all your files – documents, spreadsheets, presentations, images, audio and video files, you name it – in just a few clicks. 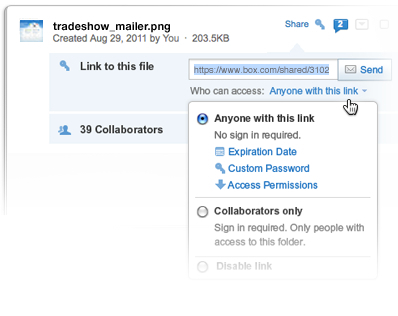 Share Files Quickly and Easily With Box, you share content with your team – and external partners and vendors – just by sending a link. 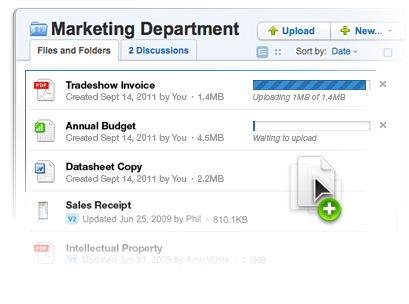 Manage Content Access With Box, you define who can access and edit specific files and folders. You also get the reassurance of password-protecting shared links. Box Business and Box Enterprise make it simple to share files internally and with external partners, clients and vendors. Just drag and drop them from your desktop to Box – even large media files. Share Without Care From a single vendor to an entire department at a partner organization, you simply and securely share files (up to 2GB) with others, even if they’re outside your firewall. Tracking And Reporting Partners, vendors, clients – with Box, you always know when anyone downloads, uploads, adds comments to or starts a discussion about files. On the run? Run to Box – where your office is wherever you are. Box Business and Box Enterprise let you connect with your content anywhere, on any device. View Your Content From Any Device See the latest versions of recently updated files while you're on the go, so you’re always in the know. Share Your Content Send a file – even folders of files – just by emailing a link with a few taps! Get that contract to your client before leaving the meeting, not after. Upload Your Content Need to upload and share pictures while you’re out in the field? Put everything on Box, from any device. You can even invite friends or co-workers to your folders. Are group projects a challenge – not the good kind? Are you bombarded with emails, making it tough to determine the latest file version? Box Business and Box Enterprise centralize files in a single online workspace. Invite Others to Share and Edit Turn folders into shared online workspaces, invite people to view, edit and upload files and more. With Box, everybody connects, collaborates and innovates. Post Comments and Assign Tasks Whether you leave a quick comment or you want to assign a task, keep the whole team on track by exchanging feedback in one place. Get Real-time Updates With Box’s real-time updates feed and email notifications, you know when teammates mention you or add, edit and comment on shared files. Box Enterprise puts you in control by moving document management out of insecure email and complicated, clunky FTP. A Virtual Data Room In Minutes A few mouse clicks: That’s all it takes to create a VDR with potential partners or customers, where you restrict upload, edit or preview. Share Critical Information Securely and Easily Box delivers an array of comprehensive control and visibility tools for even the most security-conscious IT managers. A Custom-Branded Experience Box’s custom branding ensures you always project a professional appearance; it also provides a familiar space to interact with external customers and partners. What if all your content could live in one place online? Box Business and Box Enterprise not only let you store files in a single location, it’s a snap to organize and share all your documents and media. Upload Documents and Media Box acts as your online virtual file server. Use it to store, share and collaborate on any kind of document and media file. Organize All Your Content Businesses create, store, share and collaborate on all kinds of digital files. Box makes it simple to manage all that content in a few clicks. Share Content Securely No matter how, where or when you share content – desktop, laptop, phone or tablet – Box’s sophisticated security features put you in complete control. With Box Business and Box Enterprise, Sales always has current marketing materials at their fingertips, from any device. Result: They work with the most powerful collateral and close more deals faster. Make Sales Smarter Box makes it easy to ensure everybody’s working with the timeliest sales collateral, product specs and pricing info. So Sales can focus on what matters: closing deals. Accelerate the Sales Cycle Box provides a central place for Sales and prospects to share critical information and reduces the time it takes to close a deal by removing email bottlenecks. Close Deals Faster By moving contract iterations out of VPN and email and into a separate, secure workspace, Box helps Sales seal deals faster. Account Settings and Global Controls Administrators control the account settings of all Box users and can easily configure permissions and privileges for the entire organization, a department and/or individual user accounts. Comprehensive Reporting and Audit Trails Box provides reporting capabilities and comprehensive audit trails for nearly every action or activity that occurs within Box. Admins can track account actions, document lifecycles, sharing activity and more. Sophisticated Data Encryption Box uses state-of-the-art technology and industry best practices for data encryption during transit to and from the Box cloud, as well as while stored within Box. Comprehensive Network Protection The Box network is constantly monitored and undergoes frequent threat assessments to ensure data protection; multiple Internet backbone connections provide routing redundancy and high-performance connectivity. Data Center Security and Availability Box uses multiple data centers to host its application and data, providing essential redundancy. All data centers employ physical security, strict access policies and secure vaults and cages. Box Sync: the first cross-platform sync for the enterprise that scales with your business, provides the security and administrative controls that aren't found in consumer synchronization services, and is coupled into your employees' workflow. Access Files Offline Box Sync makes it easy to access Box content from your desktop, even if you're offline. Synced files and folders are always available on your desktop, with or without a connection. Update or add new files while offline; they’ll be automatically synced after connecting. Files added by co-workers or other collaborators are downloaded when you're back online. Get Your Business In Sync With desktop sync, your Box content is synced to your desktop, workflow accelerates and everybody’s more productive. View and edit Box files – and shared folders, too – right on your desktop. Every time you edit a file, your team immediately receives the updated version. Access synced content anywhere, from any device: phone, tablet, you name it. Select What You Sync Box Sync lets you access the content you work with most! It couldn't be faster or easier. Choose how many – or how few – Box folders you access from the desktop. Sync existing files on your desktop to your Box account in seconds. Create new folders from the desktop and sync to Box instantly.